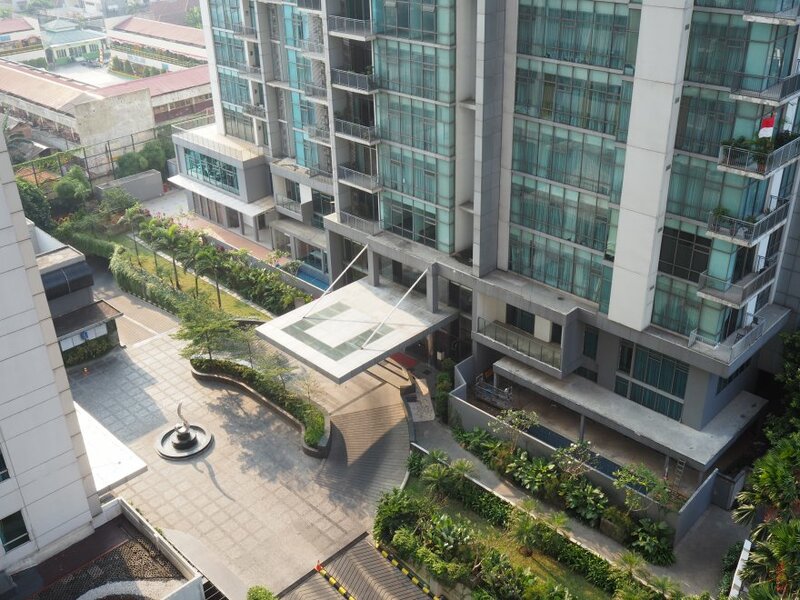 Essence Darmawangsa is an upscale residential complex built on 5.2 hectares of land. 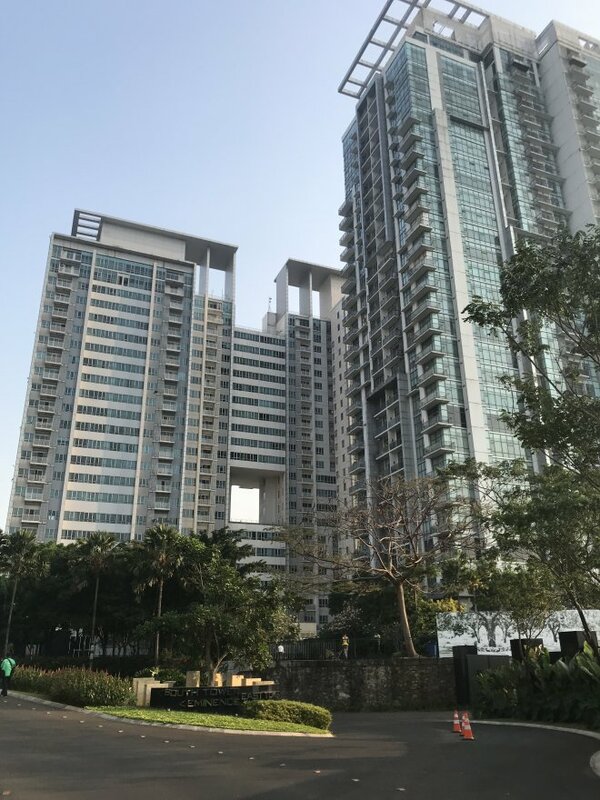 Eminence (2008) has 28 floors and 242 units. 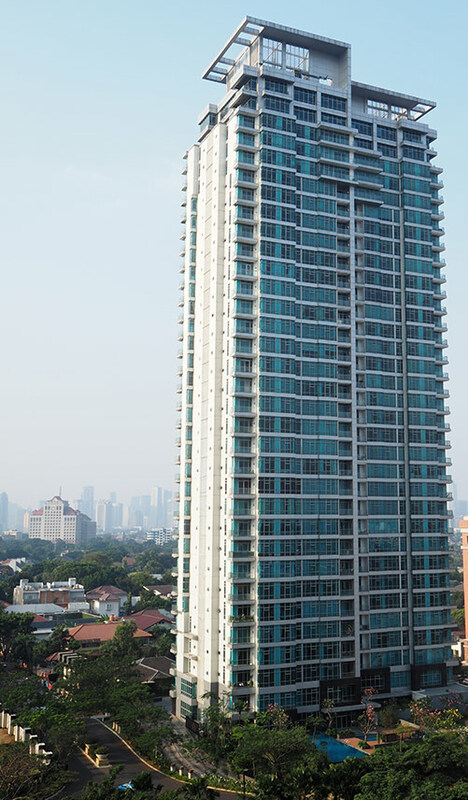 The South (2013) has 36 floors and 244 units. The East (2014) has 38 floors and 244 units. A fourth tower, The North, and a 5-star hotel (Ammi) are still on hold as of today. 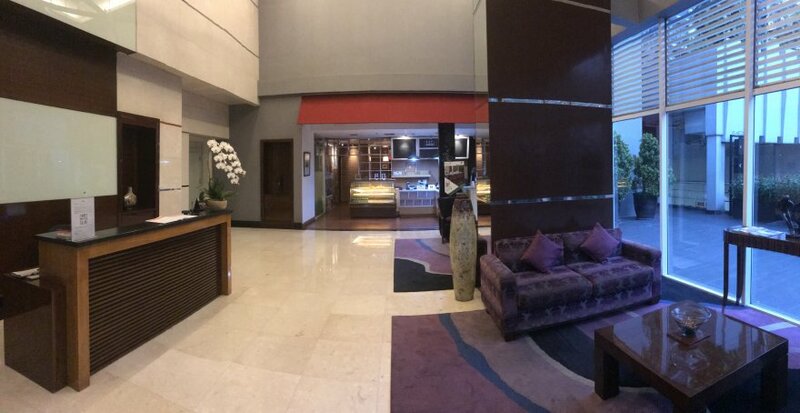 I stayed for a couple of days in the Eminence tower, which is the least luxurious among the three. If you know about The East or The South, please leave a comment at the end of this article. 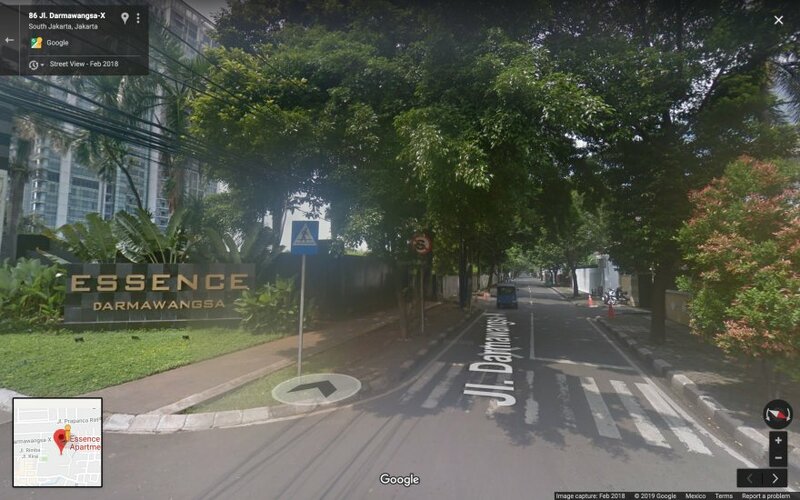 In which neighborhood of Jakarta is Essence Darmawangsa located? 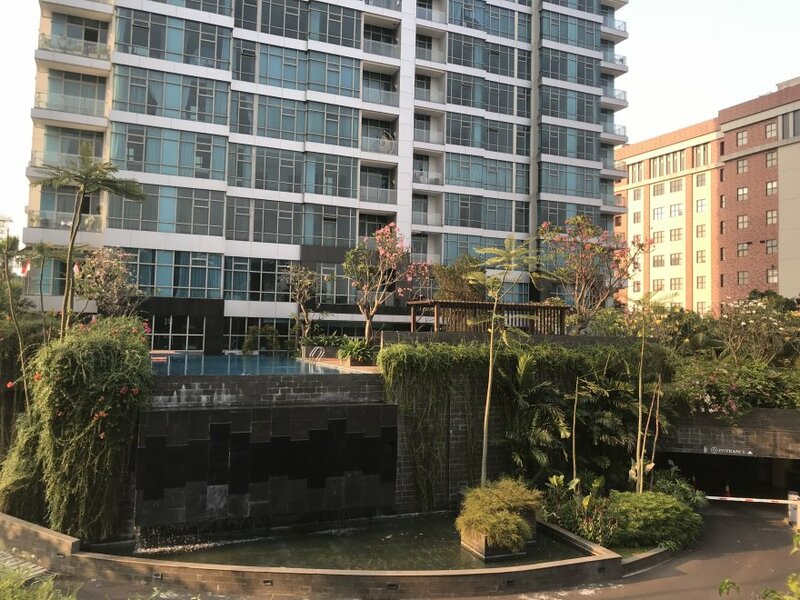 Essence Darmawangsa is located in Kebayoran Baru, a posh district of South Jakarta popular with rich Indonesians and expats (especially Japanese and Koreans). 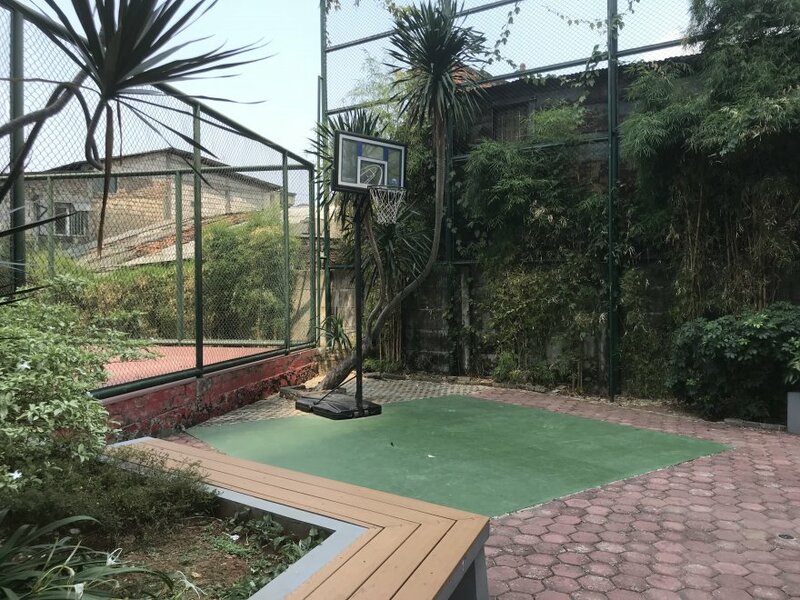 More precisely, it is in the neighborhood of Dharmawangsa, a rather peaceful and low-rise residential area where you’ll find some of the most expensive houses in the city. 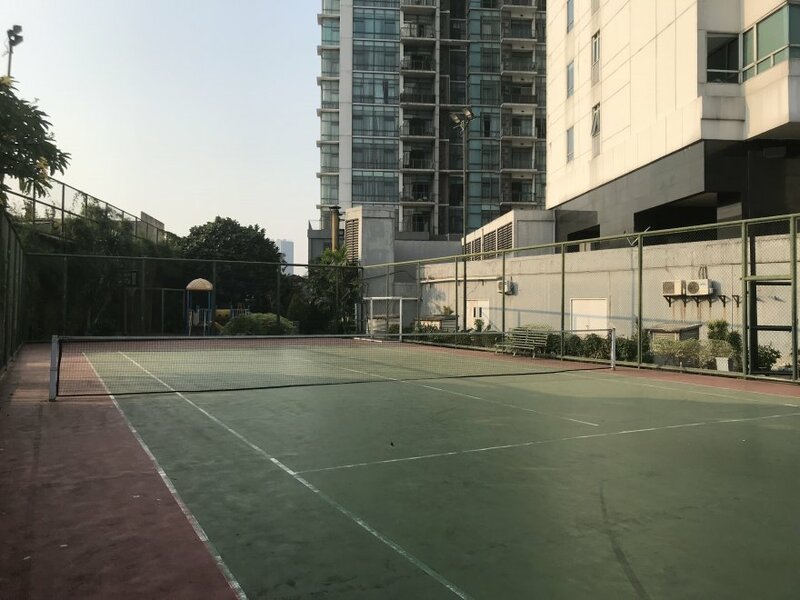 Even though this location is a bit far from the business district, foreigners enjoy it because it is near the best International schools. 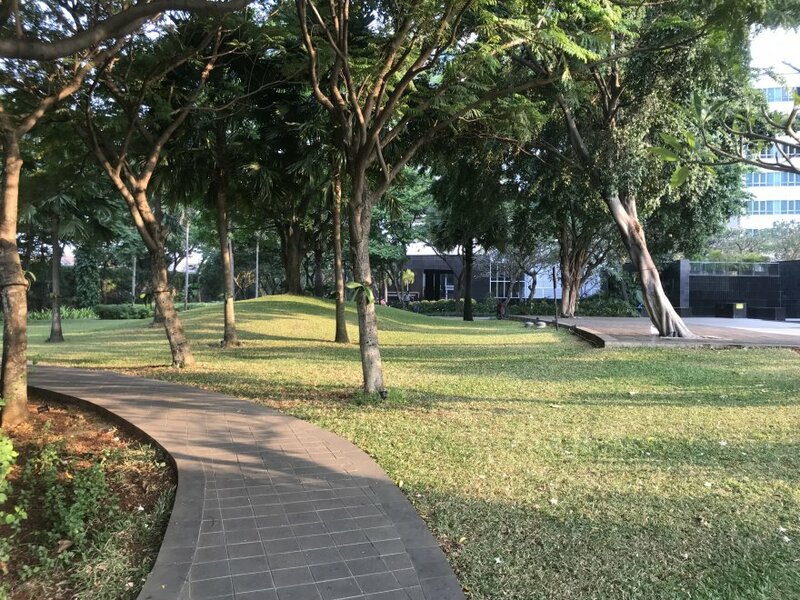 It is also within 10 minutes from Kemang, home to a large expat community. 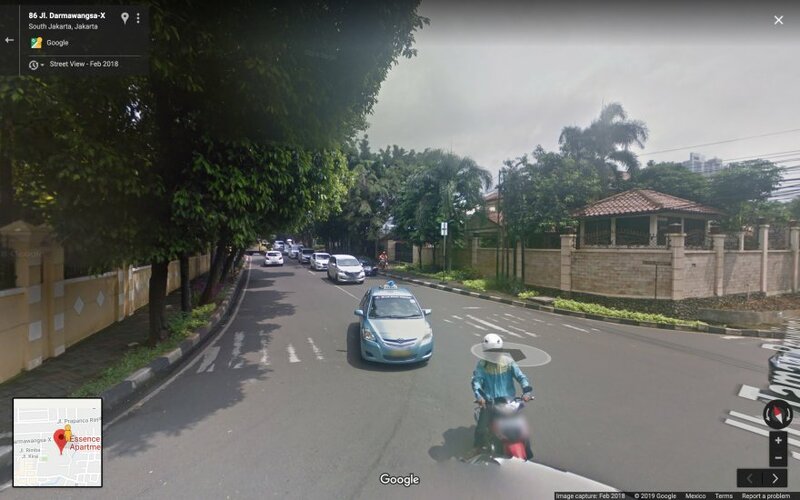 The nearest mall is Lippo Kemang (2.5km away), a mid-to-upper class shopping center with a cinema, an Ace Hardware, a Hypermart, banks, pharmacies, fashion boutiques, restaurants, salons, etc. Not too big but enough for most of your needs. 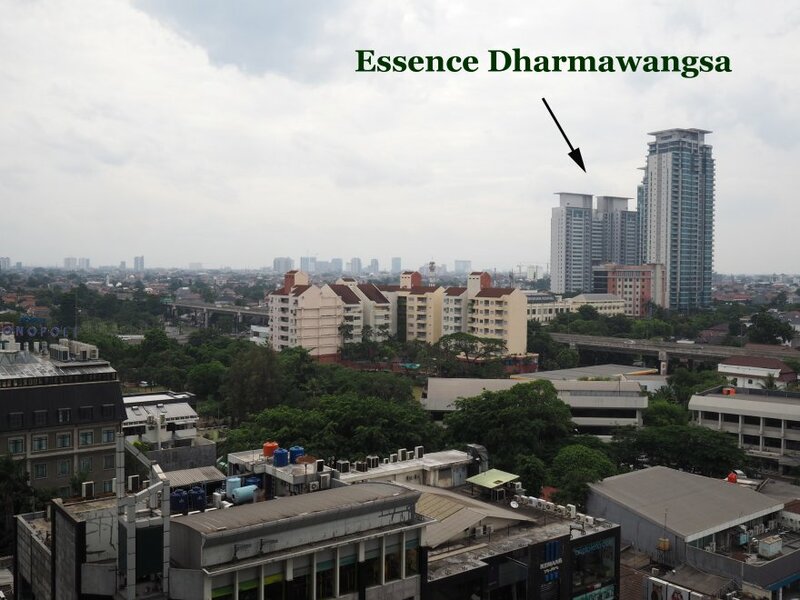 There is also a boutique mall called Dharmawangsa Square, just 1km away. It has a salon, massage parlor, cafés, restaurants, fashion shops, and a supermarket. 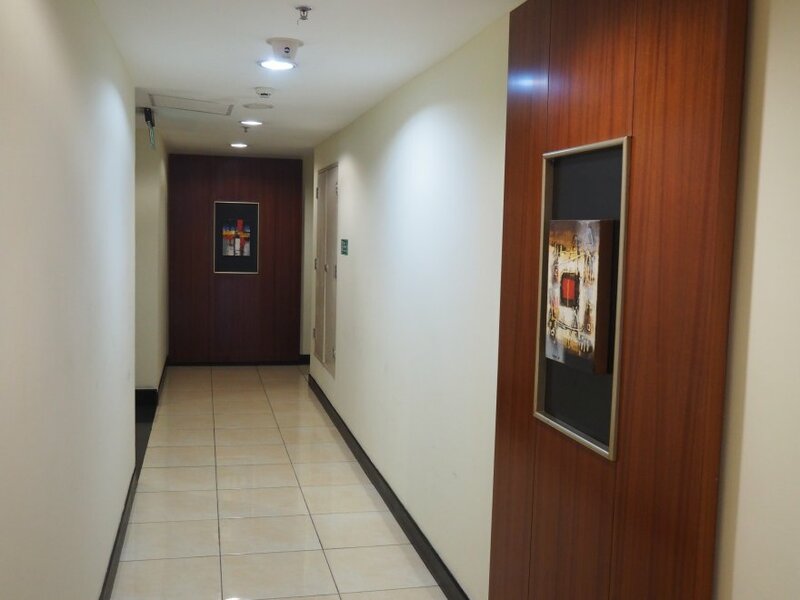 Blok M Plaza and Pasaraya Blok M are two other options nearby. They are middle-class malls with cheap electronics and clothes. For more options, you will need to ride a car at least 15-20 minutes: Gandaria City (4km), Pondok Indah Mall (4km), or Plaza Senayan (5km). The nearest ones are Ranch Market in Dharmawangsa Square or Kem Chicks in Kemang Mansion. Both have a lot of imported products, but they are expensive. There is also a Hypermart in Lippo Mall Kemang. 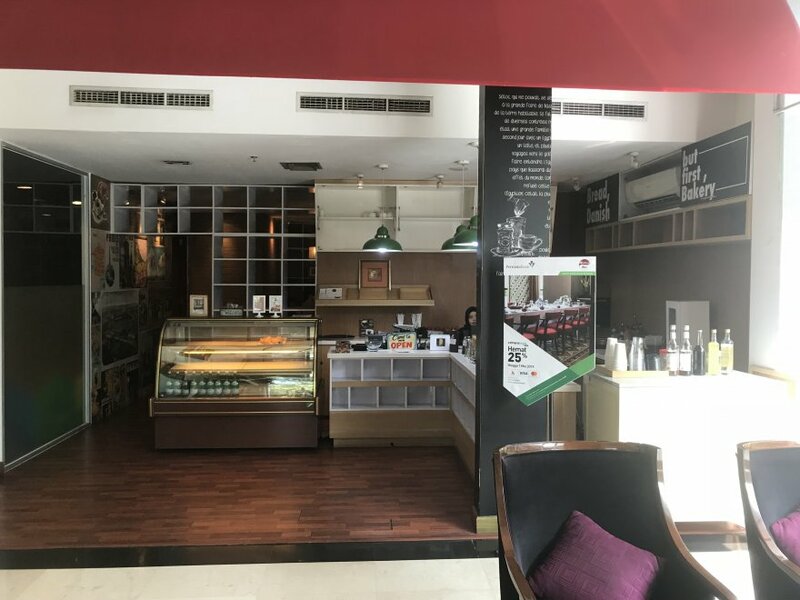 A cheaper option is to go to Transmart-Carrefour or Giant in Blok M.
Apart from one coffee shop in Eminence tower, you will need a short car ride to go to nearby restaurants. Kemang has plenty of them, just 10 minutes away. I also recommend trying “Little Tokyo”, a red-light area with many authentic Japanese restaurants. Kemang has a decent nightlife, including several expat bars like Eastern Promise and Murphy’s. Siloam Hospital should also open soon in Kemang Village. Essence Darmawangsa was developed by PT. Prakarsa Semesta Alam, a subsidiary of PT Saligading Bersama. 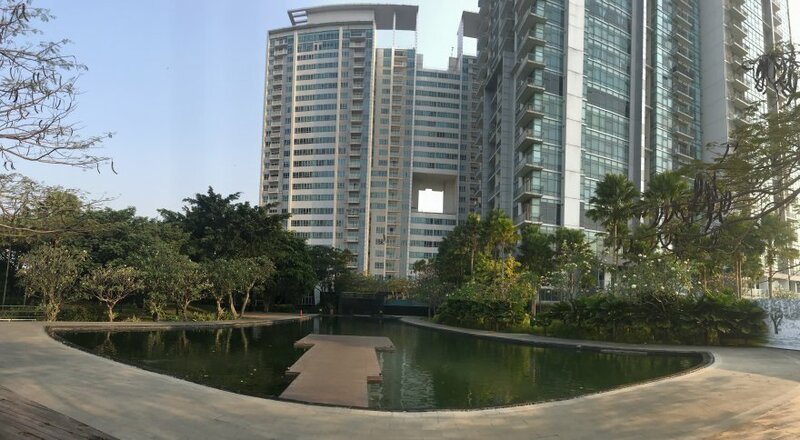 The latter is the main shareholder of ABMA, the owner of properties like Nifarro Park (together with Tommy Suharto), Royal Betawi (Tangerang), Samala Park (Cilegon), East CBD (Surabaya), Tanjung Layar Lagoon (Makassar), The Kahyangan (Solo Baru), North CBD (Jakarta) or The Simprug Signature (Jakarta). 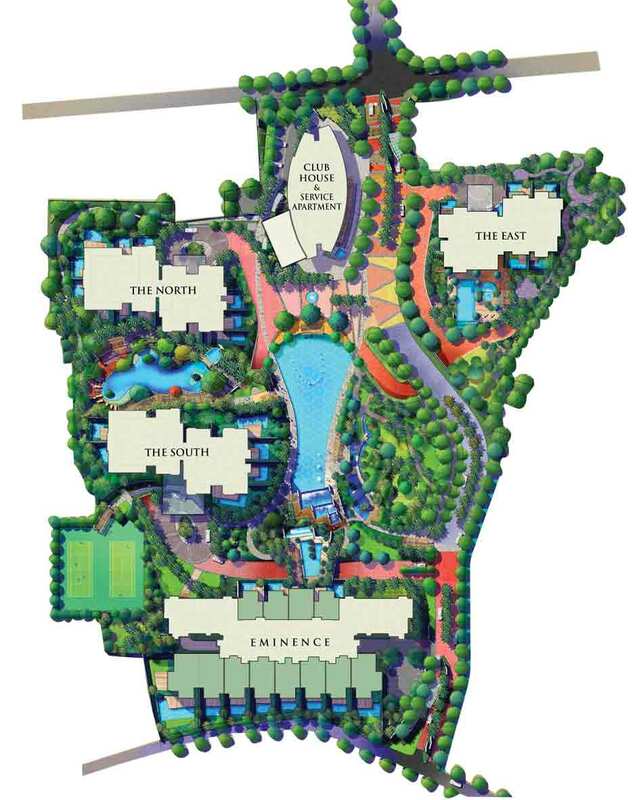 The company is also behind the hotel group Samali (with the brands Ammi, Allium, Arum, Azara). The official founder of this company is Ir. Musyanif, who seems to be the owner of the Dharmawangsa Hotel. He was also the previous director of the public contractor Pembangunan Perumahan (PP). However, it seems unlikely that Ir. Musyanif alone could finance such enormous projects. 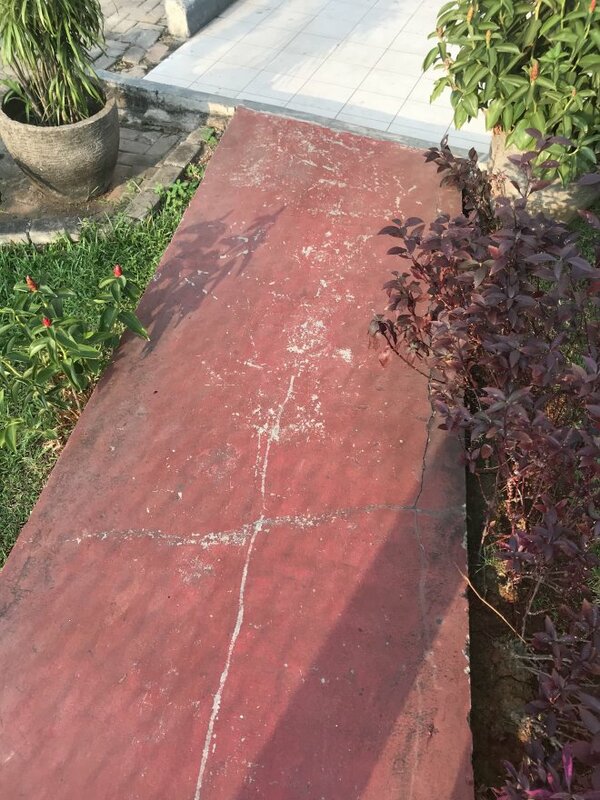 After some investigations, it appears that the Tahir family (Mayapada group), one of the richest in Indonesia, is probably a shareholder and investor in this company. I don’t know for sure, though. 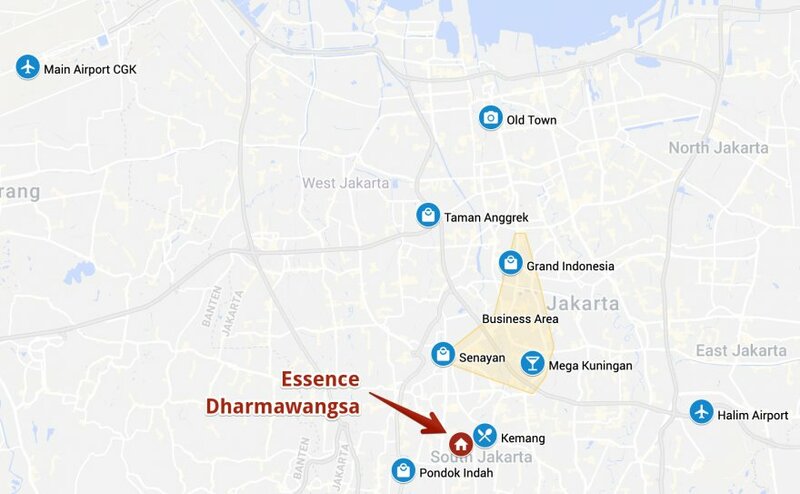 Anyway, I don’t like the fact that it is very difficult to know precisely who owns Essence Darmawangsa. If a problem arises, it’s always better to know exactly who will take responsibility. 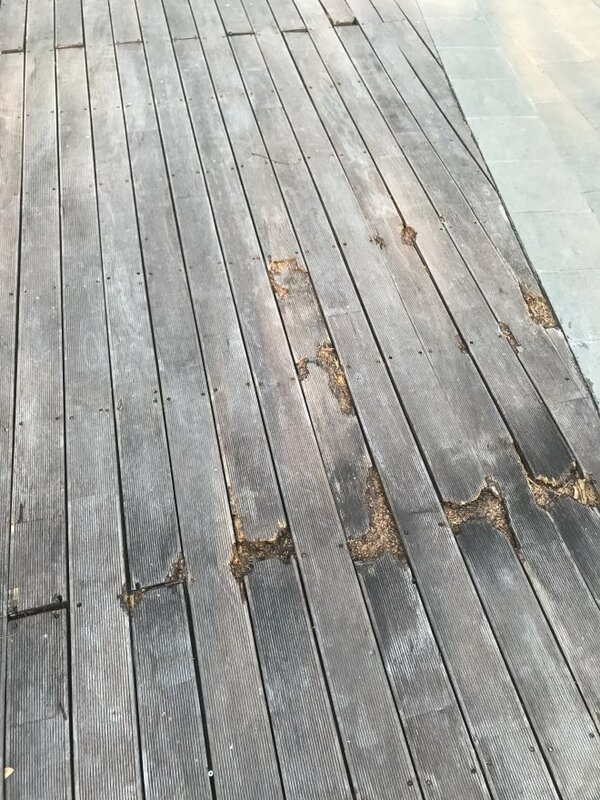 The design was done by PTI Architects (PT. Prada Tata Internasional), a member of the Peddle Thorp International Group. 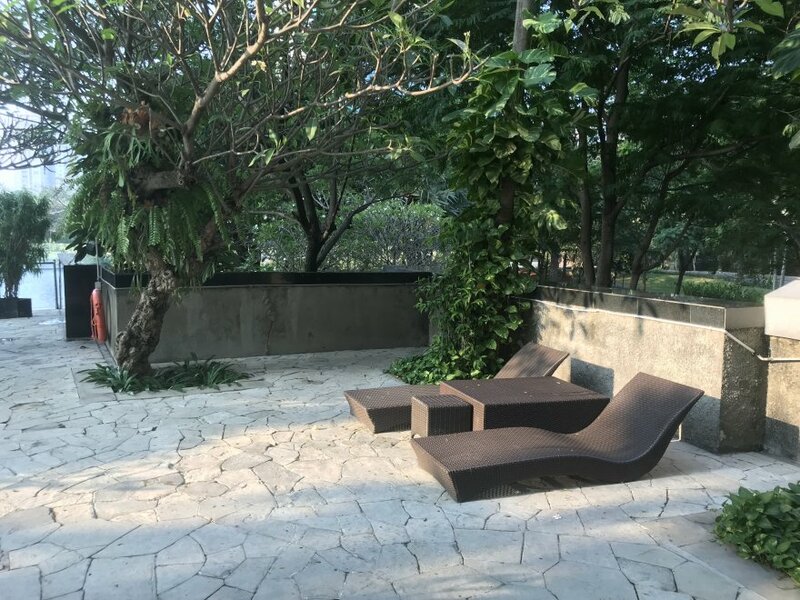 Even though it is part of an international network, it remains a local firm and it is unclear whether any Australian architects were involved in Essence Darmawangsa. That said, PTI is one of the leading architectural consultants in Indonesia. 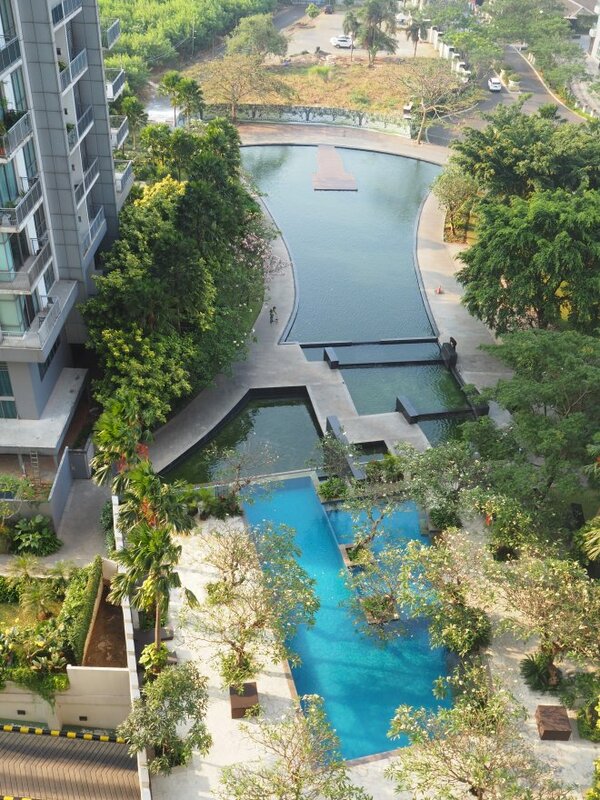 They’ve worked on major projects such as Kuningan City, Gandaria City, Residence 8 and Bellagio Mansion. 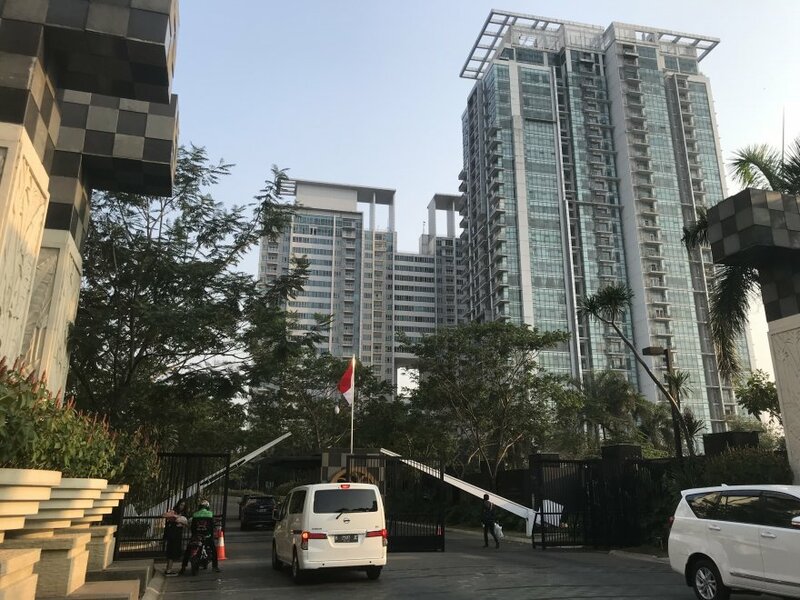 The contractor was PT Pembangunan Perumahan (PP), a large company, government-owned, that has built several midrange and high-end properties in Indonesia (especially in Surabaya). 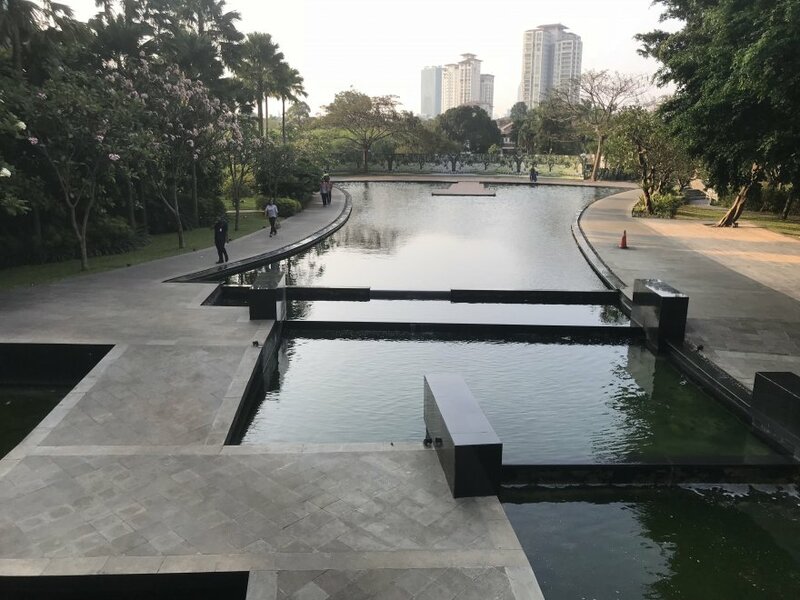 According to the management, 70% of the 5.2 hectares of land are reserved for public spaces. 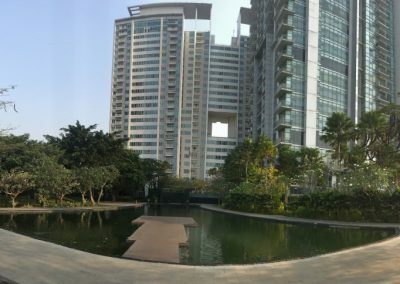 There is a small park with a pond in the middle of the property which is quite pleasant. 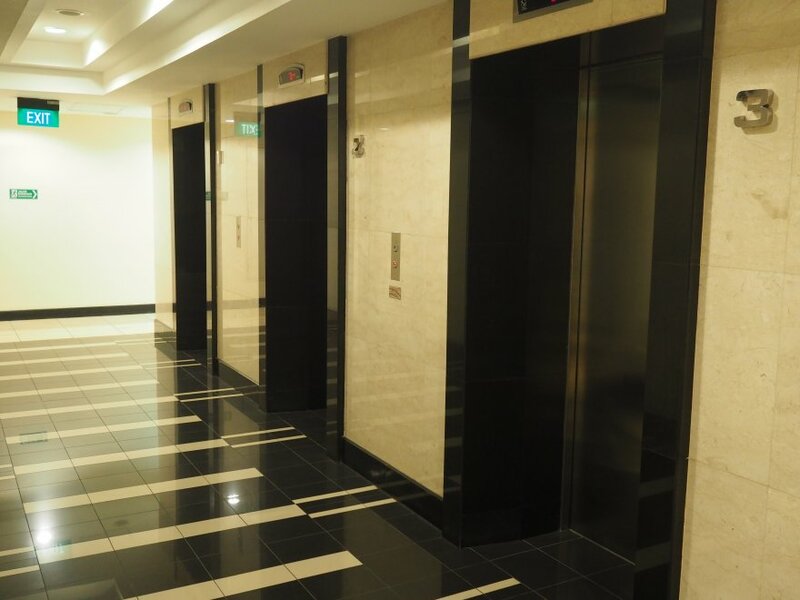 My apartment in Eminence tower had a common lift. 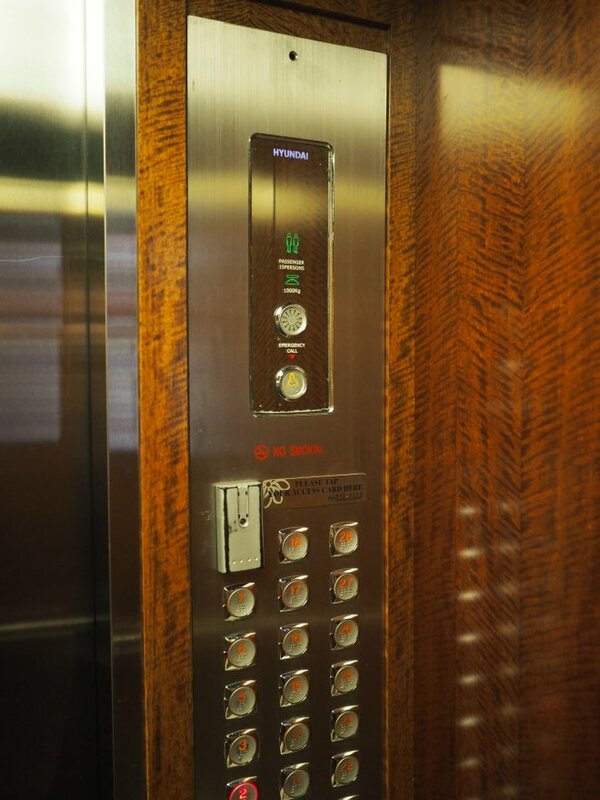 If you stay in the South or the East tower, the units have a private lift. 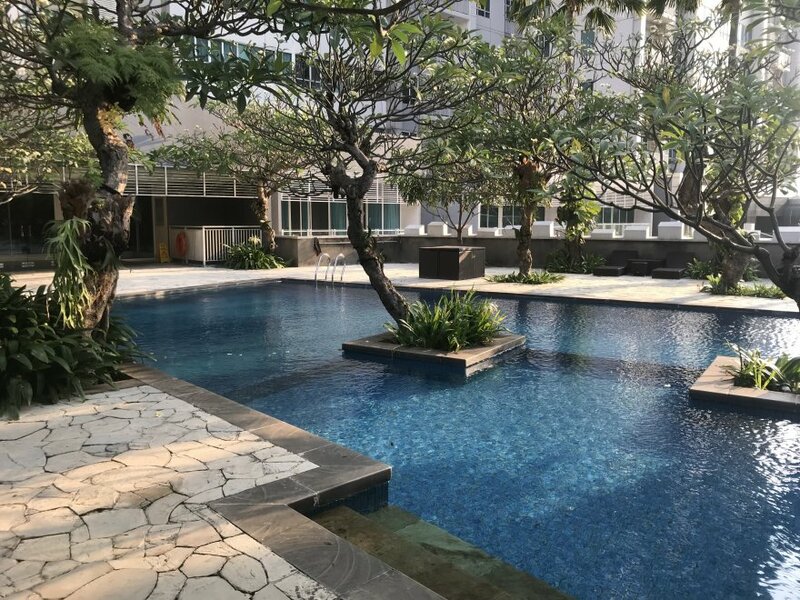 – The swimming pool in Eminence tower is quite small. I didn’t see the pools in the other towers, but it seems they aren’t very big either. 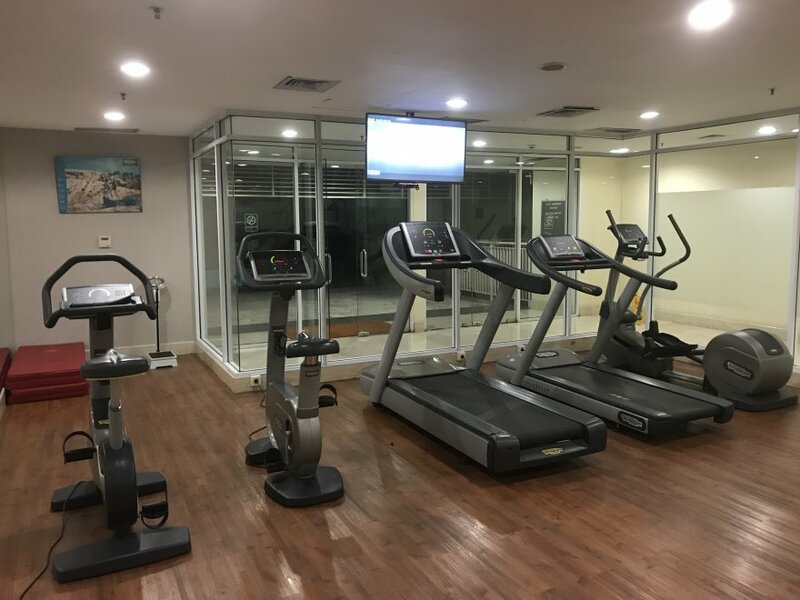 – The gym in Eminence tower is ok for cardio training. For weight-lifting, there aren’t enough machines and free weights. 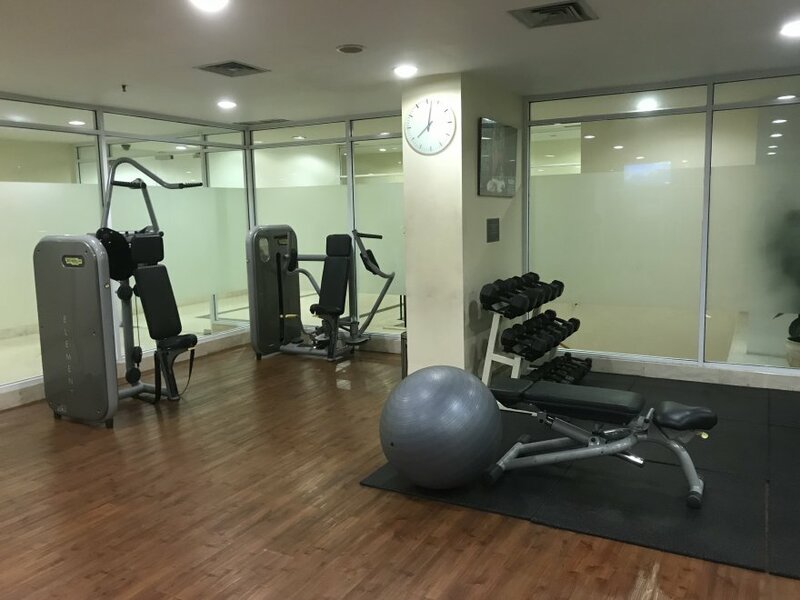 – Facilities not pictured here: Jogging track, sauna. There are a few services available: Minimarket, coffee shop, laundry, ATM. Something annoying was that GO-Food or GrabFood drivers were not allowed to drive inside the property. If you order a meal with them, you will have to wait a long time until they walk from the gate to your lobby. Yes, it is quite busy as you have more than 700 units in the complex. It depends on which unit you are staying in. You should know that behind the Eminence tower, there is a kampung with a mosque. If possible, choose a unit facing the pond. 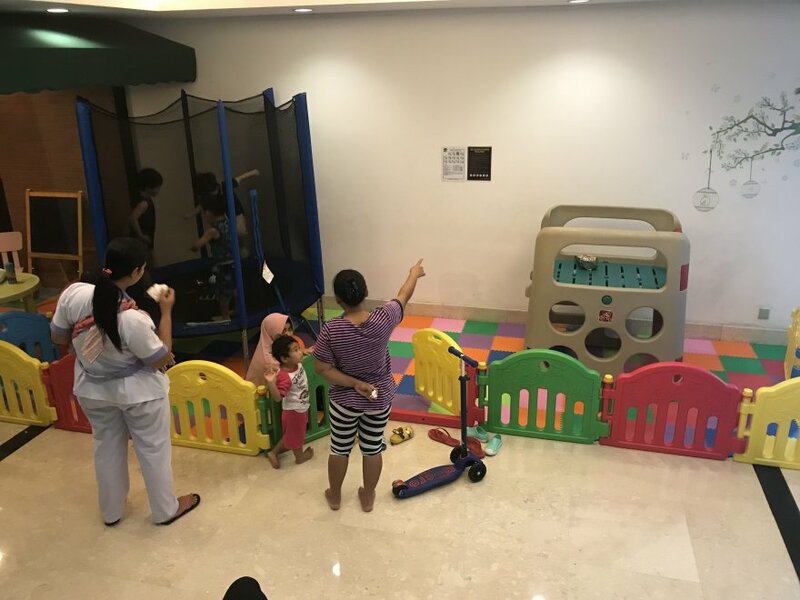 The residents are a mix of Indonesians and expatriates. 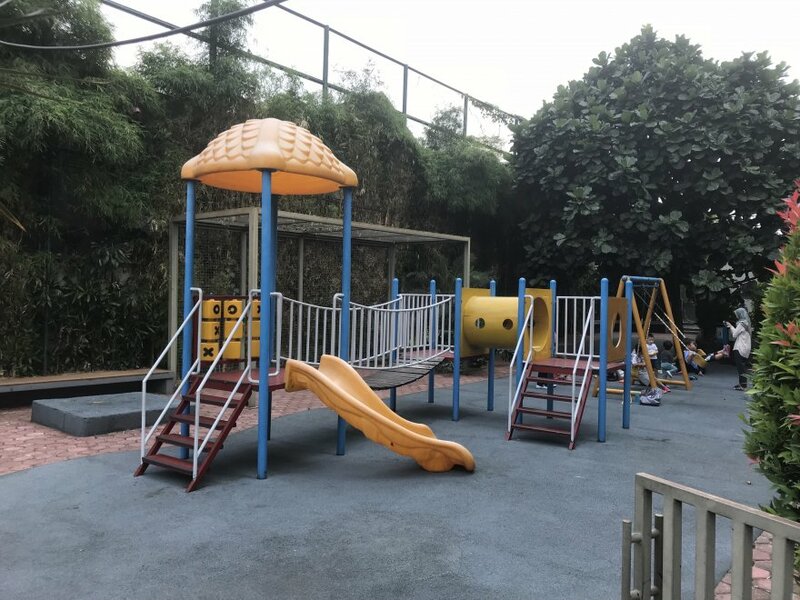 The maintenance of the garden was ok.
– Guards: There is a very secured gate at the entrance of the complex, and then you have more guards in the lobby of each tower. 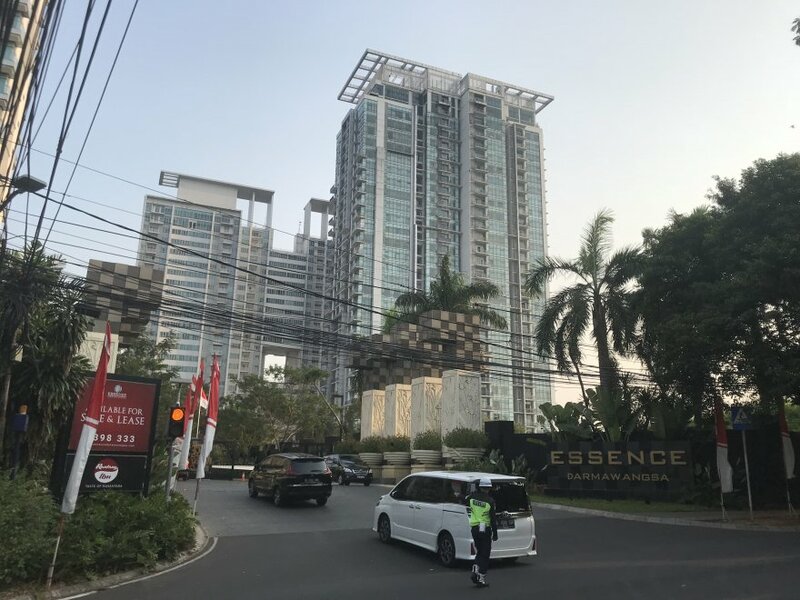 Prices at Essence Darmawangsa may vary depending on many factors such as the tower, the floor, the unit type, the room condition and the furnishings. Generally speaking, the Eminence tower is cheaper than the South tower and the East tower. 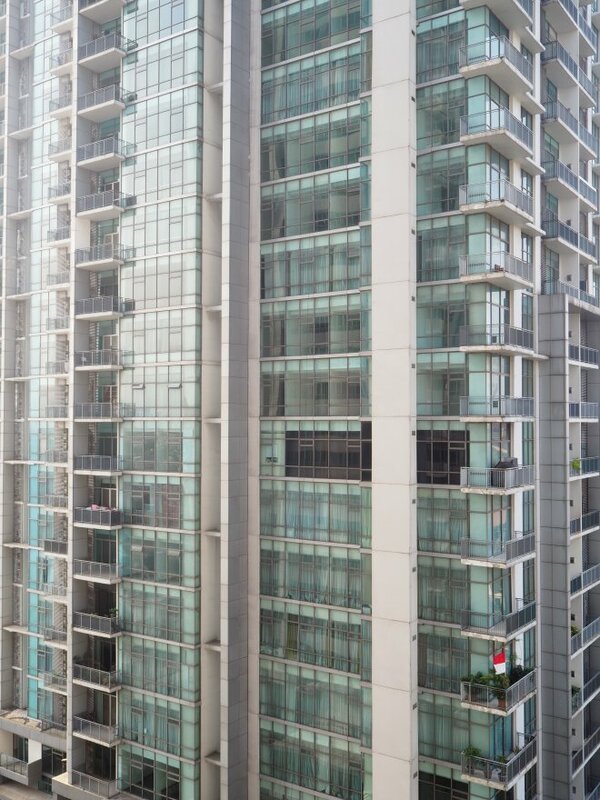 Construction of the North tower: Will it make the prices of the older towers depreciate? 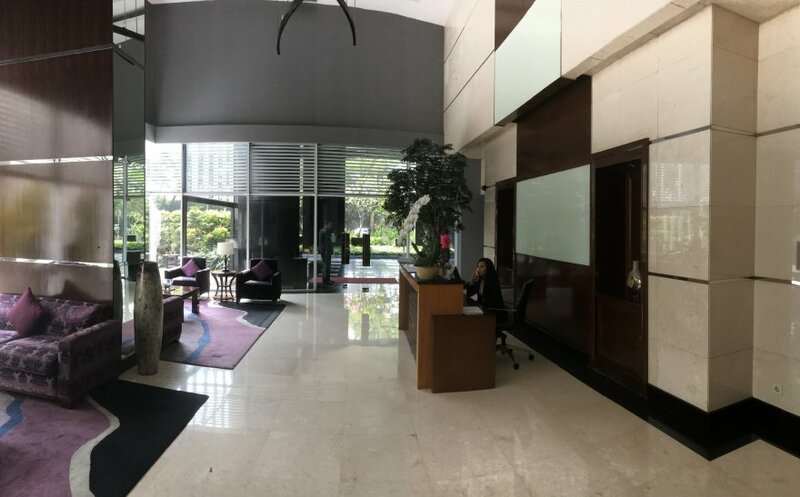 - Location in the posh neighborhood of Dharmawangsa, within 10 minutes from Kemang. - Huge property with a pond and a small park. 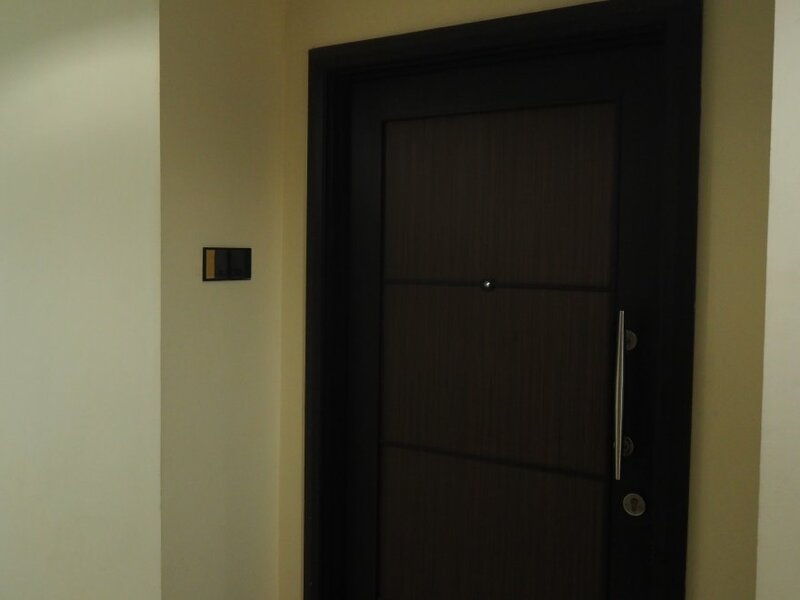 - Good quality apartments, floor-to-ceiling windows. - Maintenance could be improved. 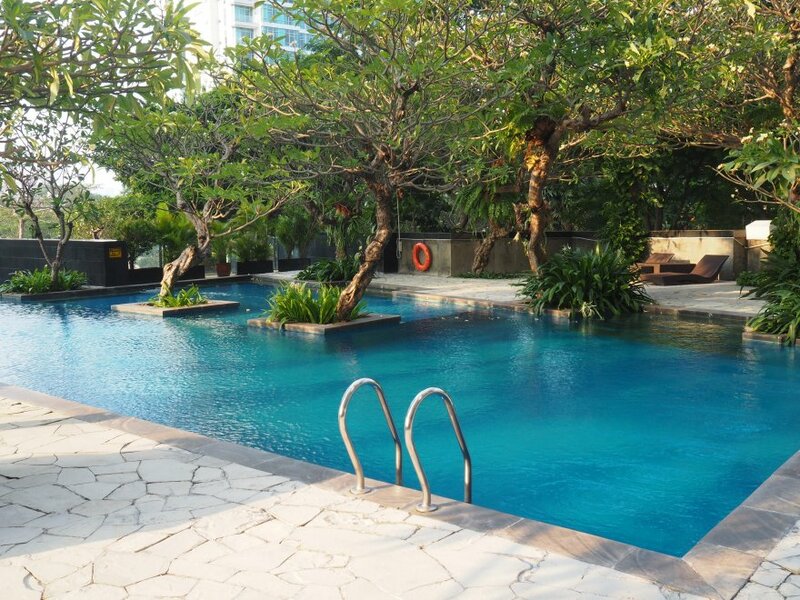 - Facilities are disappointing for an upscale property, especially the swimming pool. - You cannot go anywhere near the complex without a car.